Pentair WhisperFlo pool pumps feature an innovative hydraulic design that offers the highest water flow of any high-performance pump with the lowest electricity consumption. 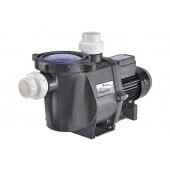 This pump is built to last, with an engineered thermoplastic housing and robust motor components. Furthermore, unique design features make this pump easy to monitor and clean. Choosing the right pool pump for your set-up can be a difficult decision.